The document signed by both leaders includes ‘security guarantees’ for North Korea. 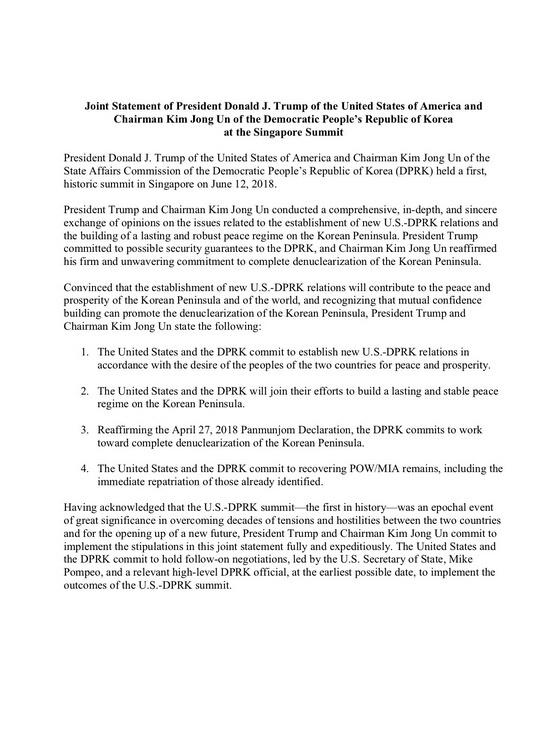 Kim Jong-un confirmed his commitment to the “complete denuclearization of Korean Peninsula,” in a joint document signed with President Trump at Singapore on Tuesday. 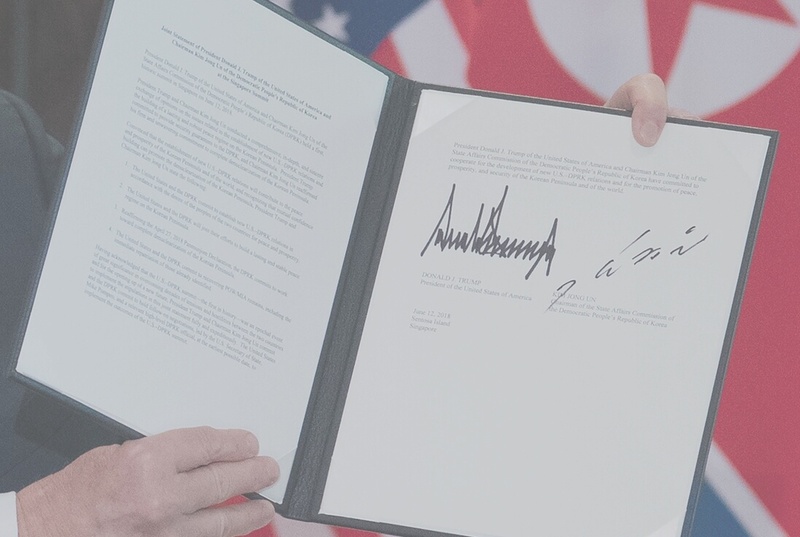 According to the press, the text does not mention “complete, verifiable and irreversible denuclearization,” however, it does reaffirm the Panmunjom Declaration, signed by Kim on April 27, 2018. Watch Trump and Kim, together, signing the joint document and declaring a denuclearization of Korean Peninsula. Remember to Subscribe to The Duran’s YouTube Channel. Both countries have agreed to hold follow-up negotiations led by the US Secretary of State Mike Pompeo and a relevant high-level North Korean official, “at the earliest possible date,” in order to implement the outcomes of the historic summit. The AFP News agency also claimed, that the document includes ‘security guarantees’ for North Korea, however, it is not clear at the moment, what exactly Trump promised Kim in terms of security. Previously, Secretary of State Pompeo declined refused to address possible guarantees, which might include withdrawing the US troops from the Korean Peninsula. How nice of Putin and Xi to let Trump take the credit for their work! No agreement but a declaration and a rather flimsy one at that. Managed to get a couple images of the declaration. Here is another one of the Trump/Kim declaration. Will the US stick to it? It’s going to be of interest to see how people explain it.